July | 2009 | "How Would You Fix...?" A fallen angel who did not take a side in the great war between Heaven and Hell, force to walk the Earth for all time. 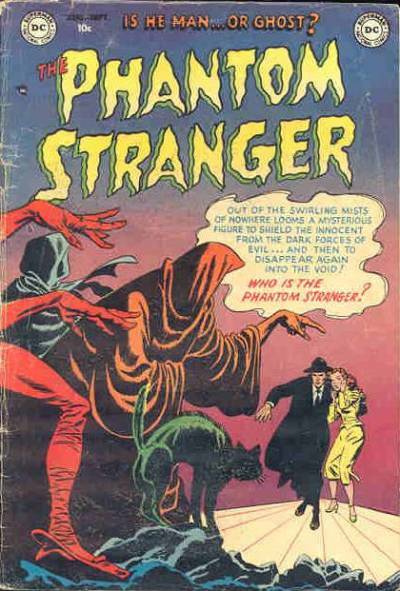 While it’s been left up to the reader to decide if any of these origins are true or not, I’d like to offer up my own fix for the truth behind the Phantom Stranger’s story. 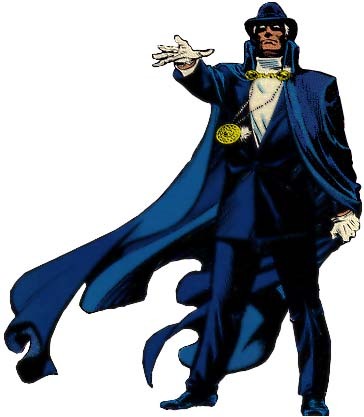 What is known is that the Phantom Stranger shows up to advise, provide information, and to guide others, rarely does he take direct action in the events before him. It is clear most of the magical community are aware of the Stranger and many have an extensive past with him, such as Madame Xanadu, who apparently was quasi romantically involved with the Stranger once upon a time. The Phantom Stranger was a member of the Justice League of America, however due to his… unreliability, he was downgraded to honorary status. When he shows up however, only the new members give him any sarcasm as the others have learned that the Phantom Stranger is best to be heeded should he make an appearance. The JLA should they need to summon him now go through Zatanna. Rather I’d suggest the truth behind the Phantom Stranger’s origin is that he is the “quantum energy signature” of a dead person… a dead person already known to us in the DC Universe. Who that dead person is I’d reveal as Jor-El, Superman’s biological father! The “Phantom” prefix of his name I’d relate to the irony that in order to escape the destruction of Krypton he had to project himself into the Phantom Zone – which he had earlier discovered – which likewise enables him to “travel” from place to place, including to “Earth space”.